Government of India owned Field Gun Factory (FGF) of Kanpur recently developed a novel smart biometrically operated firearm holster by leveraging the 3D printing technology. 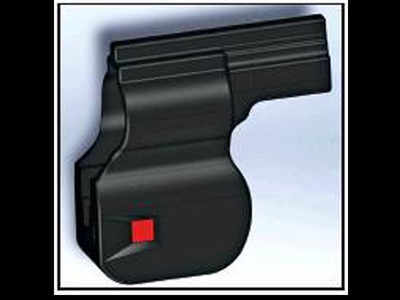 The holster is a safer way to prevent misuse and theft of firearms. Field Gun Factory (FGF) of Kanpur recently collaborated with a private firm to develop a smart holster to lock the gun in the holster. The holster, appropriately named as ‘Kavach’, is a biometrically opened lock. It can only be opened with the fingerprint impression of the owner. While 3D printing has helped the Indian Government-owned gun factory to develop a novel product to protect and safeguard the theft of firearms adding a layer of safety around the guns, 3D printing has not been as kind to some other countries. In the USA, people are fearful of the easy availability of plans for 3D printing guns. Its threat is looming far and wide and people believe that these plastic guns will wreak havoc if it is not brought under regulation right now. Defense Distributed, a company started by Guns rights activist Cody Wilson freely distributes downloadable weapons plans for free across its website. The Liberator, in May 2013, became the world’s first 3D printed handgun and immediately caught the attention of the entire nation. The 3D printable guns are virtually undetectable under metal detectors and this has raised an extravagated panic among its detractors.